We were in Napier and had to be in Auckland for our 18:50 flight to Melbourne. 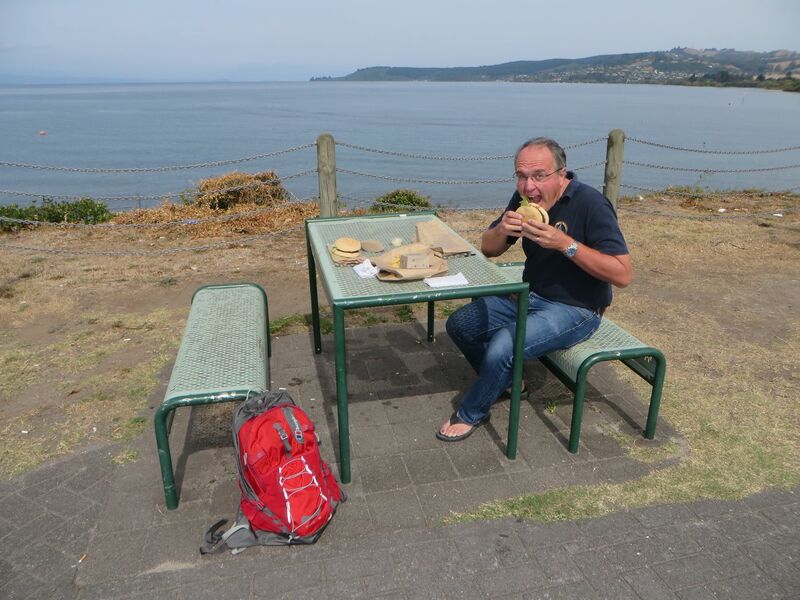 So, we left Napier in the morning and drove to Taupo where we had an early lunch beside the lake. 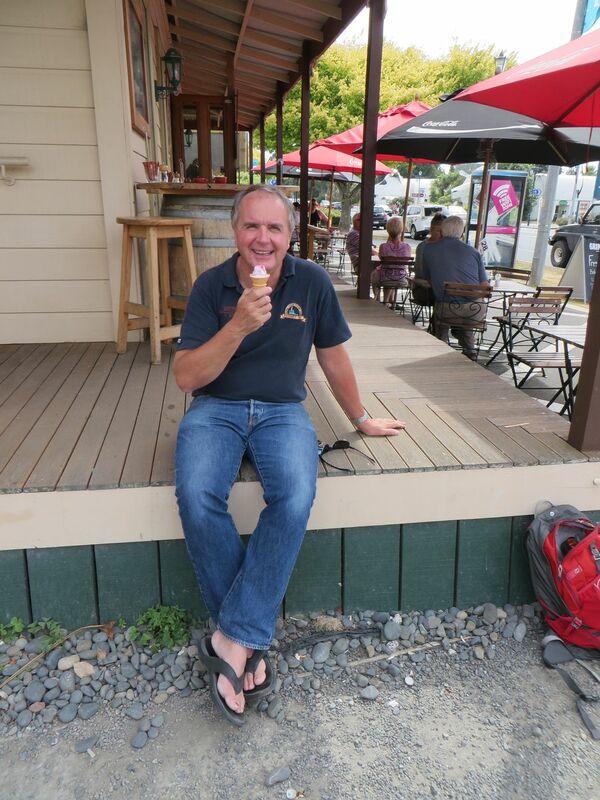 Of course, one can never do enough testing of local ice creams so when we got to Tirau we had more research to do. 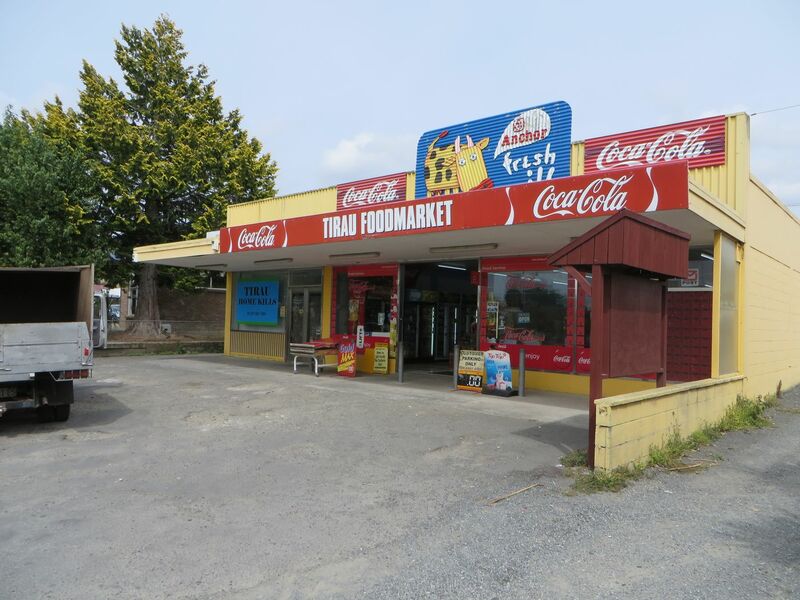 Sitting eating the ice creams I spotted a large blue advert on the shop front for Tirau Home Kills! Don’t think I’ve seen that offered in Woodley, UK! 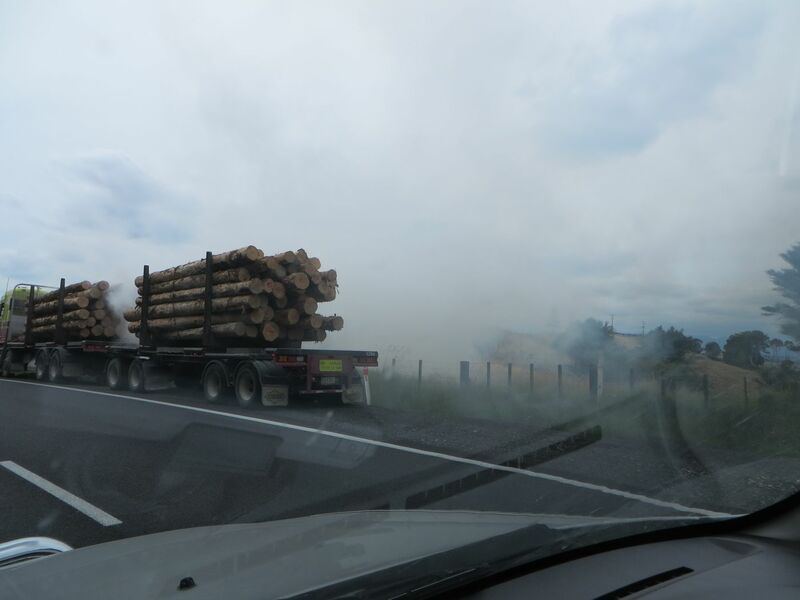 Going further north we came across a short, slow-moving queue, due to a logging truck going slowly up a winding hill and emitting HUGE amounts of smoke. Soon after the apex it finally found somewhere to pull over to deal with the cause. We got to Auckland, left our car in a car park and got shuttled to the airport. There was forecast to be a cyclone hitting the north island overnight. 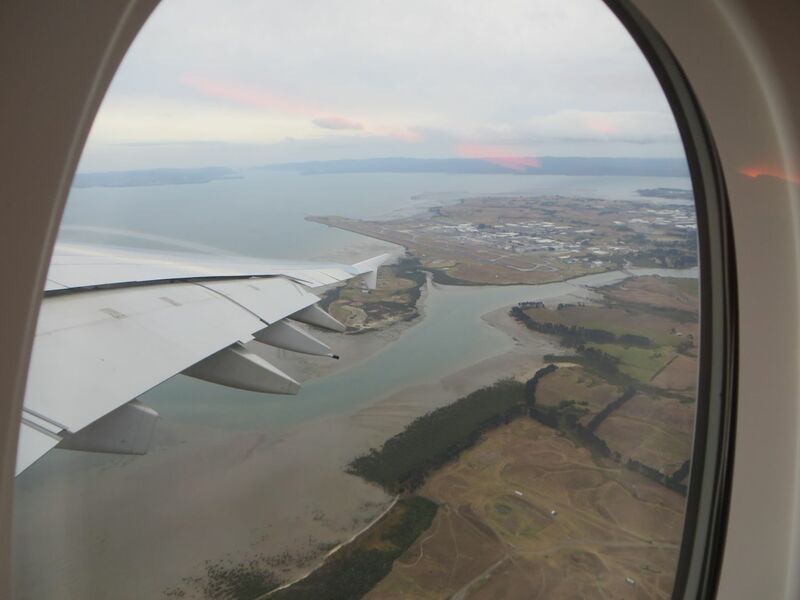 This is the view of Auckland airport as we departed. We got to Melbourne after about 4hrs and picked up a rental car as we were driving to stay at a place near to Di’s, Noel’s sister, near Yarra Junction. We decided to try to avoid toll roads by not driving into Melbourne but going around its outskirts. This took us into the darkened countryside and during the drive, on 2 occasions, we saw a kangaroo at the side of the road by the car’s headlights. Big things – you wouldn’t want to hit one! We got to the motel sometime after 11pm very tired. Now, I’ve heard lots of stories about the amount of wildlife which can kill you in Australia. Thanks Noel. 🙂 And nasty-looking spiders. So when we opened the motel room’s door and found three 1.5″ long, fat centipedes shuffling along at some speed across the floor I wasn’t too impressed! 😮 Luckily Noel dispatched them and I slept well after zipping up my bags to ensure nothing could get in them!